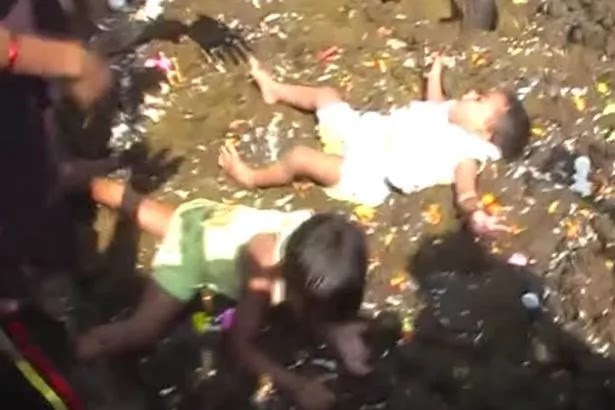 Parents bathe their children in cow dung to keep them healthy. This time round you will side with me when I say we are currently living in a crazy world. I happened to stumble upon photos of a family in Madhya Pradesh in India who bathe their children in a hip of cow dung in a believe that it will bring health and fortune to the family. According to speculations hitting in where in the blogosphere the villagers collect cow dung for several weeks and store it in huge piles awaiting for one of the biggest celebrations in India. 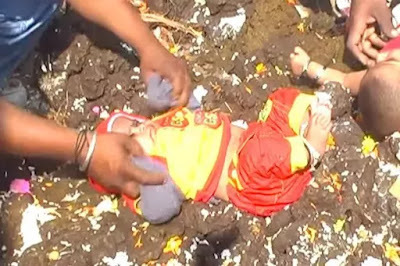 The shocking activity takes place a day after the festival where parents take theor children to the Holy Place, where they pray to Hindu gods as they bathe their kids in the cow dung.